Don't push me, cause I'm close to the...EDGE. I'm trying, not to lose my...HEAD! ha, ha, ha, HA! This might remind some of you of a verse from a classic song "The Message" by GrandMaster Flash and the Furious Five of the 80s - but these lyrics, just like it did in the 80s, still describe the hard times experienced by certain individuals being shackled by poor living conditions and severe austerity measures of their government. Greece is in dire need for more funds to prevent defaulting on its debt (which is plagued by runaway deficits and enormous entitlement programs) - but the European Union (EU) and the International Monetary Fund (IMF) are reluctant to issue another round of funding without additional budget cuts, decreased wages, increased taxes, and reduced benefits for Greek citizens. The country's first round of funding was approximately 110 billion euro ( roughly $157 billion) and came with several "strings attached". This has sparked a slew of riots by Greeks across the country. The IMF, EU, and other bond investors are not showing mercy and forcing the country's prime minister George Papandreou to take unpopular steps in order to prevent the country from defaulting. The stock market is showing signs of increased volatility as investors become cautious due to the possible negative effects should the country default on its debt owed to its citizens, and also foreign and domestic bond holders. Should the people of Greece pay their debts? Absolutely. Can Greece afford to pay off its debts? Absolutely not. 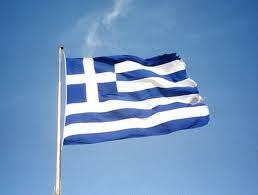 Currently, Greece has 10yr bonds paying a rate of 17.66% !! With some other bonds offering a interest rate of 30%. Tell me how can a country that is broke, pay off its debts with such ridiculous rates? We can take this same scenario and apply it to individuals: How long will it take a person with $175,000 in credit card debt to pay off their credit cards at a 29% interest rate?? And they're making $40,000 a year? Sounds impossible, right? Exactly. No wonder the Greeks are rioting. I'm sure they would like to repay all of their debts - but paying back the debt at these rates is ridiculous. But the IMF, EU, and other bond holders think that this is feasible through increased taxes, reduced wages, etcetera., etcetera. I agree that the Greeks should repay all of their debts - but at sensible rates. I understand that the market requires high interest rates to associate with the risk involved- but at these rates? That's just asking for a country to default. If I owned Greek bonds right now - I'd be happy with 8% or 9%.....because I'd have a higher probability for getting my money back with interest. Just as people with credit cards simply stop paying or declare bankruptcy - you might as well expect Greece to default on its debts. Causing a "domino effect" with other countries following the same measures (such as Spain, Portugal, and Ireland) and simply ceasing payments on major debts. Additionally, America will have its day of reckoning as well...our entitlement programs we've grown to love so much will come to an end in some form or fashion. Also, education in our country is already being priced waaay to high (thanks to the Federal Reserve)....and at the rate we're going, higher education will soon be only available to the privileged who can afford it (but I wonder if those who go to college will have jobs waiting for them to repay all of the debt they've accumulated?). And the list goes on.....do any of these bullet points sound like an economy you're familiar with?? People have become too complacent with their government providing every standard of life for them. When complacency enters - productivity exits. And great economic powers become distant memories when they owe debts they cannot repay. There has to be some sort of balance between making a profit and also not trying to ruthlessly take advantage of others in the name of GREED. Because 30% interest imposed on an already debt ridden country that has no means to repay without crippling its economy - is a little greedy...because the result is that no one wins and no profits are made. An inevitable default occurs and people lose their livelihood. But, that's the breaks, that's the breaks (lyrics from another song called "The Breaks" by Kurtis Blow). Learning the rules of money....the new rules of money....is what it takes to be successful in this global economy. Depending solely on the government or even your main employer for retirement, education, health care, is so outdated. Depend on yourself! Be creative! Be persistent! Build multiple cash flows in real estate, and own as many businesses as you can stand to maintain/manage. It's all in our hands now, and new technologies available to us via the internet makes it easier and cheaper to start your first company. And hopefully, we can all avoid the unfortunate position of the Greeks.